Stock status is current as of 4/21/2019 2:58 PMET. 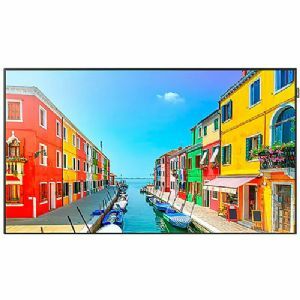 Samsung OMD-W Series High Brightness Displays are a fully embedded digital signage solution designed for high ambient light indoor environments where brightness and visibility are the main requirements. And with our SMART Signage Platform, you can manage your content without external devices. Draw more visitors to your retail business by effectively delivering promotional messaging with excellent visibility. OMD series SMART Signage features high brightness and contrast ratio for superb visibility in various lighting environments. Even customers who are wearing polarized sunglasses can view messages with outstanding clarity and brightness, without the display-blindness effect typically experienced with LCD displays.